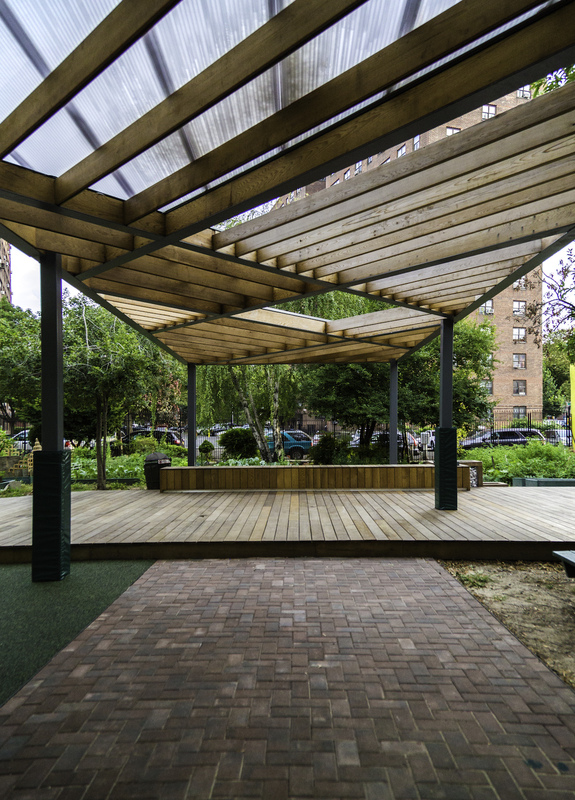 Parsons School of Constructed Environments teamed up with Union Settlement Association and New York City’s Administration for Children’s Services to build a new pavilion for a community garden on East 104th Street. 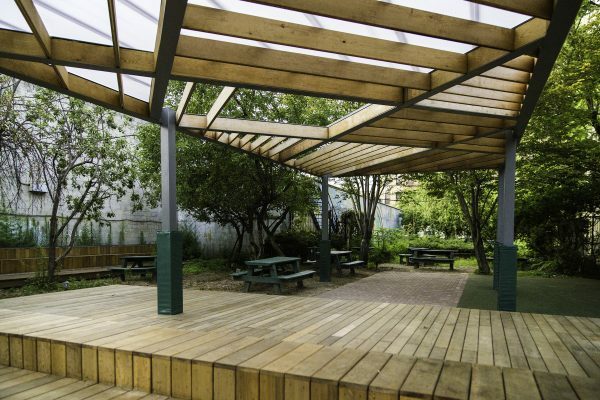 Under the guidance of Parsons faculty members Nicholas Brinen and Victoria Marshall, 15 graduate students collaboratively designed and constructed a new pavilion and seating space for El Sitio Feliz. Read more Here!